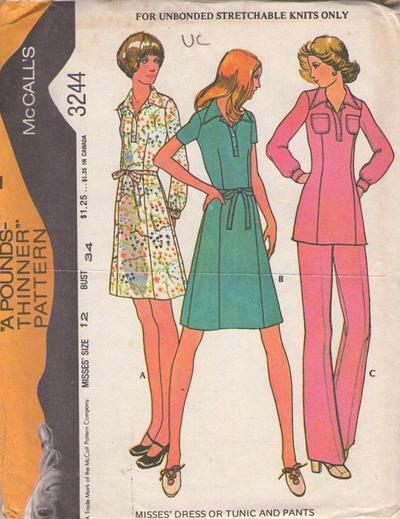 1972, 70s Knits, Retro Daytime Clothing Patterns - Pullover dress or tunic has front bands, collar, stitch trim. Long sleeves gather into snapped cuffs. A, B has tie belt. B has buttoned bands. C has patch pockets. Pants have elastic in casing.